Early in his career, Merton observed: ‘We have many concepts but fewer confirmed theories; many points of view, but few theorems; many “approaches” but few arrivals. Perhaps some further change in emphasis would be all to the good’.1 In the chapters to come we shall see how he heeds his own advice. 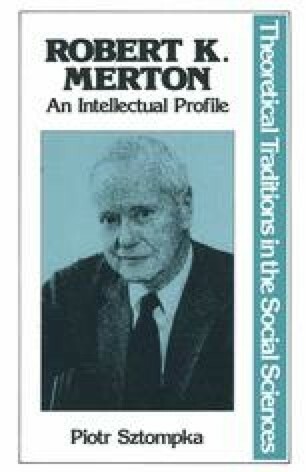 Here, we leave the level of Merton’s approaches, and focus on his arrivals, the substantive claims about the subject-matter of sociology developed through his specific methodology and theoretical orientation. Having studied his ideas about science and sociology, it is high time to find out what he thinks about society. Apart from its intrinsic interest, an endeavour of this kind should bring a bonus. As biblical wisdom has it: by their fruits you shall know them. An appraisal of Merton’s substantive results will provide an indirect clue to the value of his method and approach. To the extent that the arrival is successful, it suggests that the road was well-chosen.